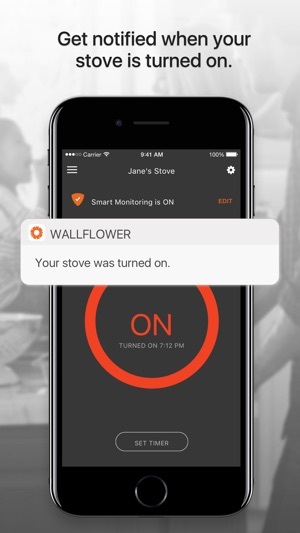 Wallflower’s Smart Monitor gives you peace of mind and helps keep your family safe by quickly and easily converting your existing stove into a smart appliance that alerts you when the stove is turned on, you leave home and forget to turn it off, or it’s been on longer than usual. 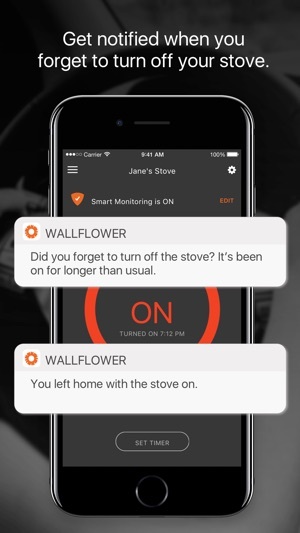 With Wallflower you can be informed to take action, combating the #1 cause of home fires helping you protect your family and loved ones from being one of the victims of a home fire that occur every 85 seconds in the US alone. 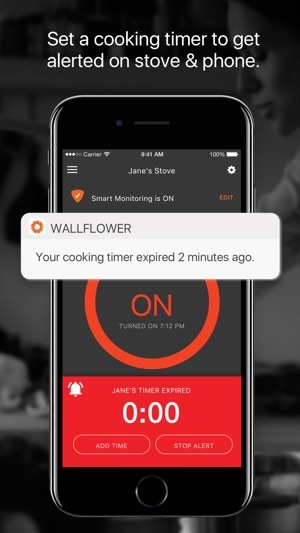 Our patent pending technology learns your cooking behavior, notifying you when your stove has been on longer than usual or if you leave the area with your stove still on. 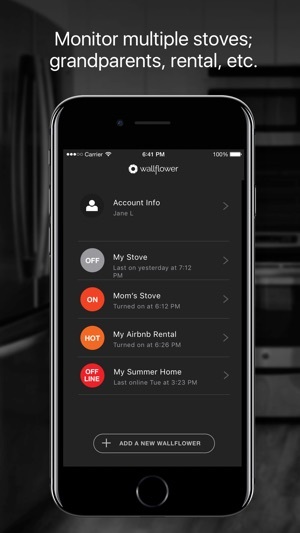 Wallflower helps keep your family safe by continuously monitoring your stove so you don’t need to worry when your children are nearby, and increases your peace of mind by keeping track of the cooking behavior of your aging adults who are becoming more forgetful, tenants in your rental property, and distracted college students with an active night life. - fixed setup issue for iOS 112.1 and above. Super product that works as advertised and is easy to setup. Thanks for adding in Alexa support. 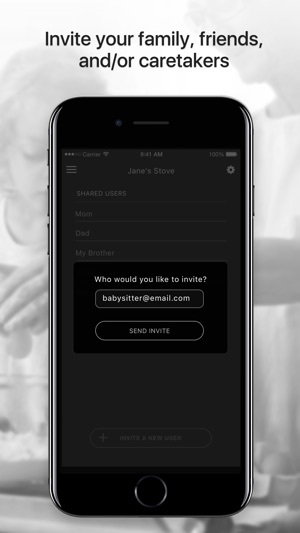 Now it’s even easier to use when I can set a timer when my hands are full or messy.